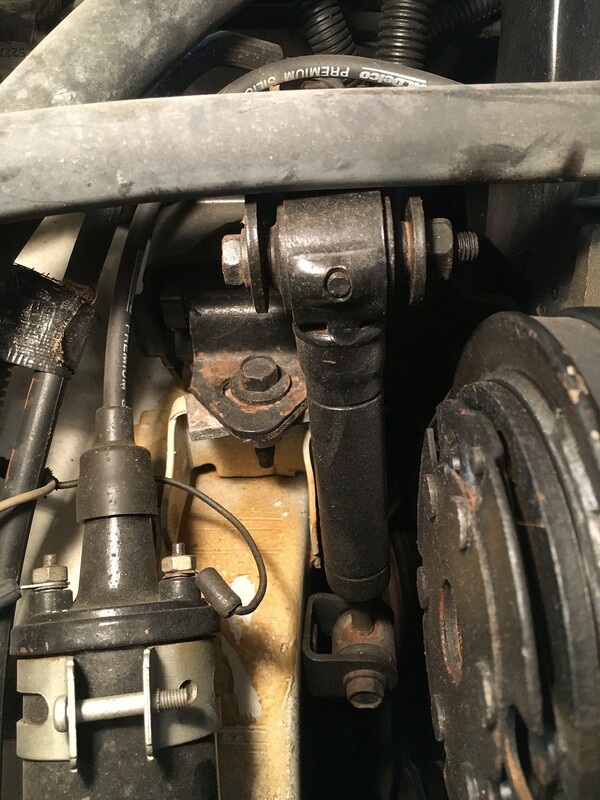 I have a question on the importance of the engine damper "strut" on the manual-shift Turbo II in my LeBaron GTC (see photos). As you can probably tell, this is the one on the passenger side near that motor mount. This year, all of the motor mounts were replaced, and we saw that this damper was basically shot. I did not replace it at that time and put the original back on. 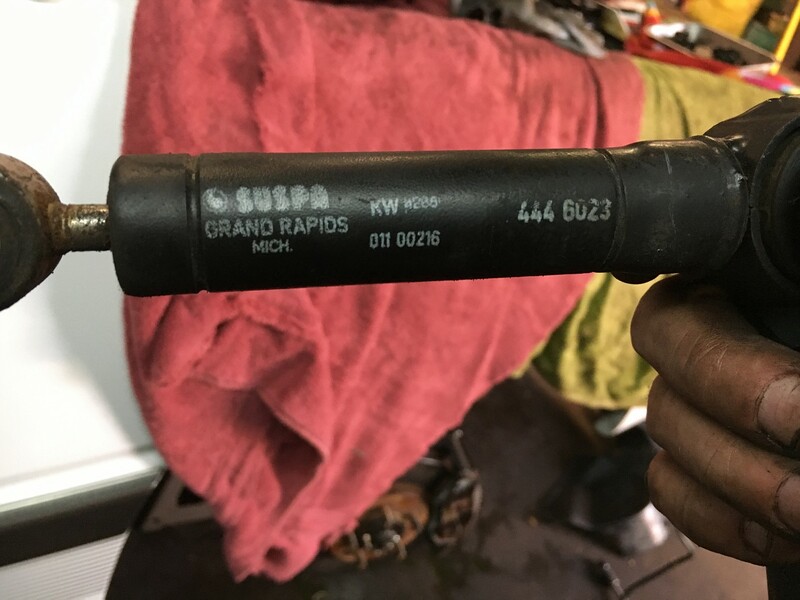 I'm looking for an opinion as to whether this damper does $100+ worth of good. The only place I have seen them is Arizona Parts for $100. Any cheaper option? Thoughts anyone? Thanks! Personally, I think it very much depends on what you want out of the car. If you're going to just drive it and enjoy it at shows, etc. I would leave it be. I don't think they do all that much for engine rotation, and with good front, and side mounts, I think they're largely unnecessary. I have one on my wife's Daytona, and I couldn't tell you that it has made a difference in the least. Thanks Cordes. That was my thought as well. I'm thinking if the mounts are bad and the shock is good, it might help a little. But with all of the mounts new, I have a hard time believing I would notice anything for my $100+. pretty much there to dampen engine vibes translating into the chassis being that they're only on verts. The 90+ verts did away with them but they have a bad --- passenger motor mount that allows zero engine movement rotationally. It's the mount to get if you have a 90+ TD. Are you talking about the larger passenger side barn shaped mount? I didn't realize it helped to limit rotation if that's the case. These mounts are also used on the TC. barn shaped? Not sure, but it only came on the 90+ verts and looks different than the regular 90+ mounts. The regular mounts are a wet noodle that you can twist by hand. The vert mount is almost like having a solid bobble strut but without any vibration issues. Thank you for that clarification. I'll have to look more closely at the 90+ vert mounts the next time I see one.